Dig, Grow, Compost, Blog: Too much of a good thing? 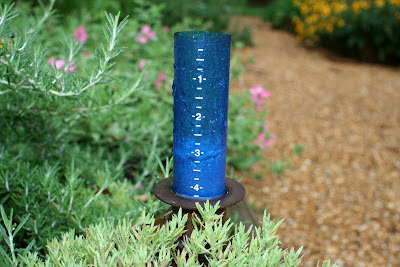 That's a very pretty rain gage. I read over your previous posts. My favorite was the one about hiring gardeners because the homeowner was too busy to visit a farmer's market. I wonder, do they have a chef too. They must, who else would have time to go out and pick the veggies and cook them? Yep, I've wondered that same thing about having a chef. I suppose if you can afford a personal gardener, you can probably afford a personal chef.